Susan was miserably put in jail. She would need help from kind-hearted people like Chong Gongdao and good luck to prove her innocence, and to get reunion with her beloved. 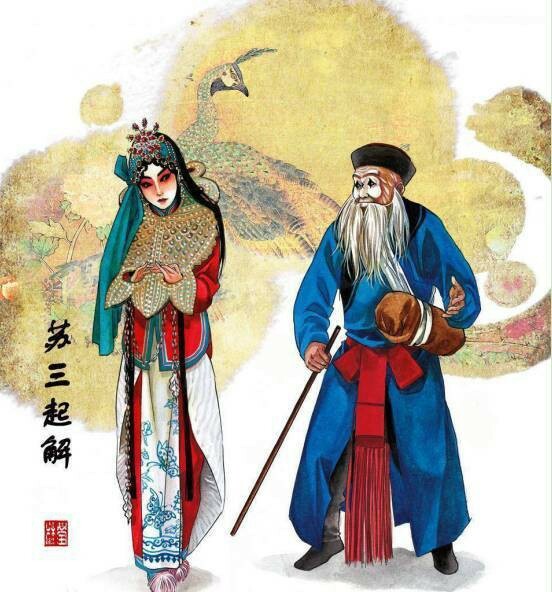 This Mei style classic play is among the most frequently performed by various types of Chinese opera. Its fast-tempo “running water” aria is also a household song. walking in the public place. Whoever is going to Nanjing, could you please deliver my message to Mr. Wang, my dear lover? Just tell him that I am going to die, and I wish I could be some animal in my next life to pay back his kindness.